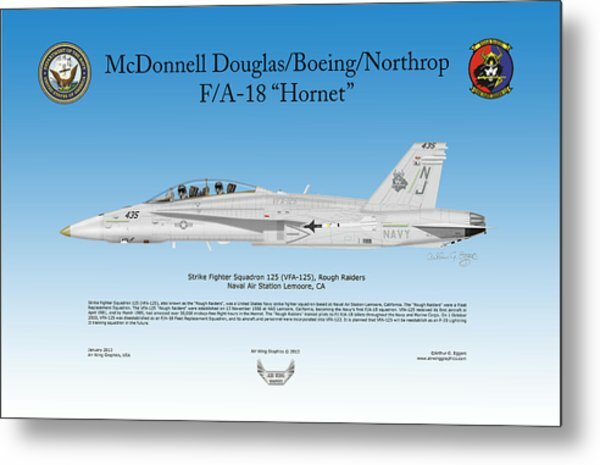 Fa-18 Hornet is a piece of digital artwork by Arthur Eggers which was uploaded on January 20th, 2013. 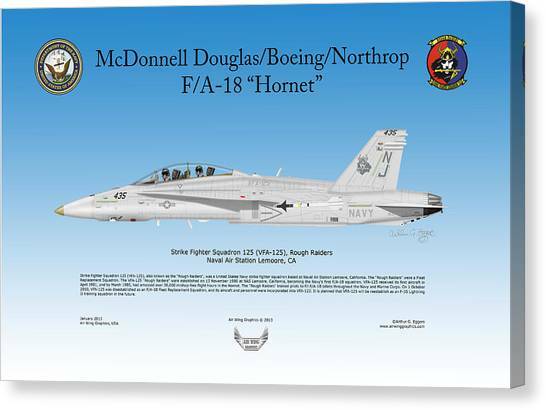 Strike Fighter Squadron 125 (VFA-125), also known as the "Rough Raiders", was a United States Navy strike fighter squadron based at Naval Air Station Lemoore, California. 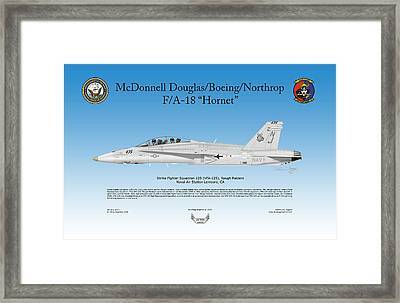 The "Rough Raiders" were a Fleet Replacement Squadron. 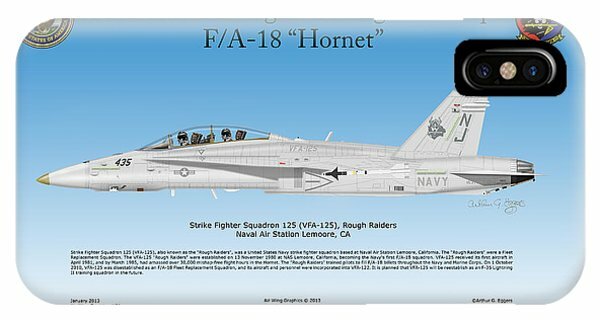 The VFA-125 "Rough Raiders" were established on 13 November 1980 at NAS Lemoore, California, becoming the Navy's first F/A-18 squadron. 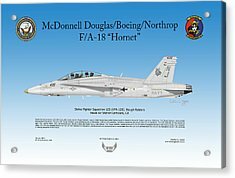 VFA-125 received its first aircraft in April 1981, and by March 1985, had amassed over 30,000 mishap-free flight hours in the Hornet. 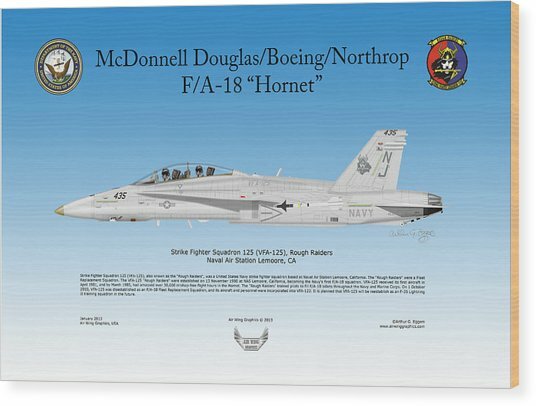 The "Rough Raiders" trained pilots to fill F/A-18 billets throughout the Navy and Marine Corps. 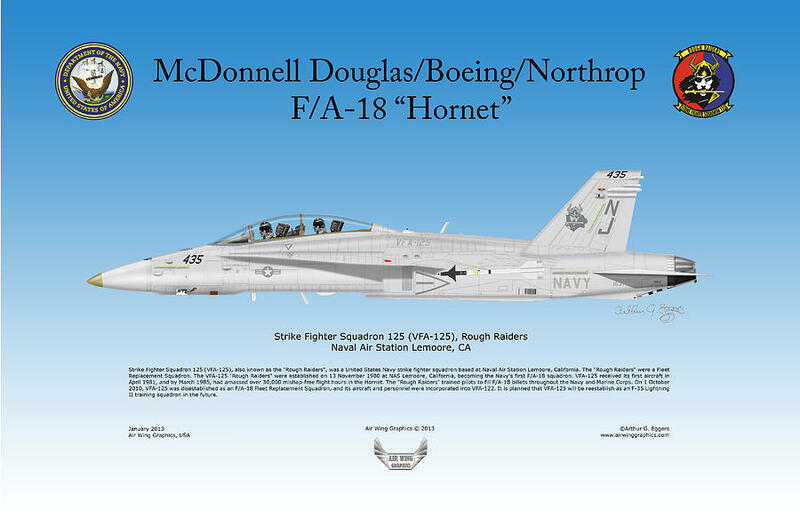 On 1 October 2010, VFA-125 was disestablished as an F/A-18 Fleet Replacement Squadron, and its aircraft and personnel were incorporated into VFA-122. 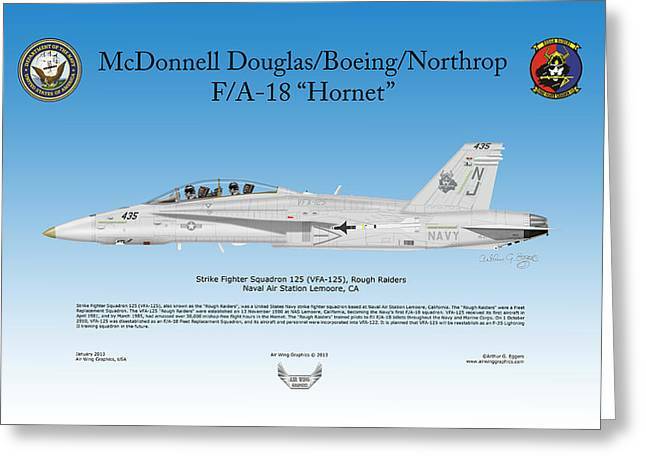 It is planned that VFA-125 will be reestablish as an F-35 Lightning II training squadron in the future. 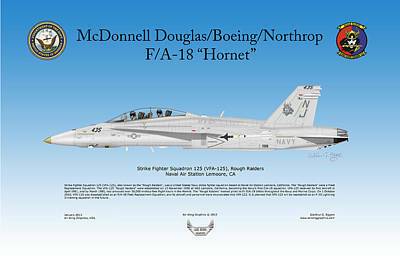 There are no comments for Fa-18 Hornet. Click here to post the first comment.